Without the Galaxy S8 to launch, Samsung has focused on tablets for its Mobile World Congress 2017 line-up. The two main devices on show were the new Windows-powered Galaxy Books, available in 12- and 10-inch variants, but the company also had something up their sleeve for Android tablet fans. Like many products on show at MWC, the Samsung Galaxy Tab S3 isn't revolutionary. It's a 9.7-inch tablet with a 2048 x 1536 Super AMOLED display and a Qualcomm Snapdragon 820 SoC in a thin and light body. There's 4 GB of RAM, 32 GB of expandable storage, a 6,000 mAh battery, and USB 3.1 Type-C connectivity. The main new addition to the Galaxy Tab S3 is full stylus support, something the Galaxy Tab S2 did not include at all. 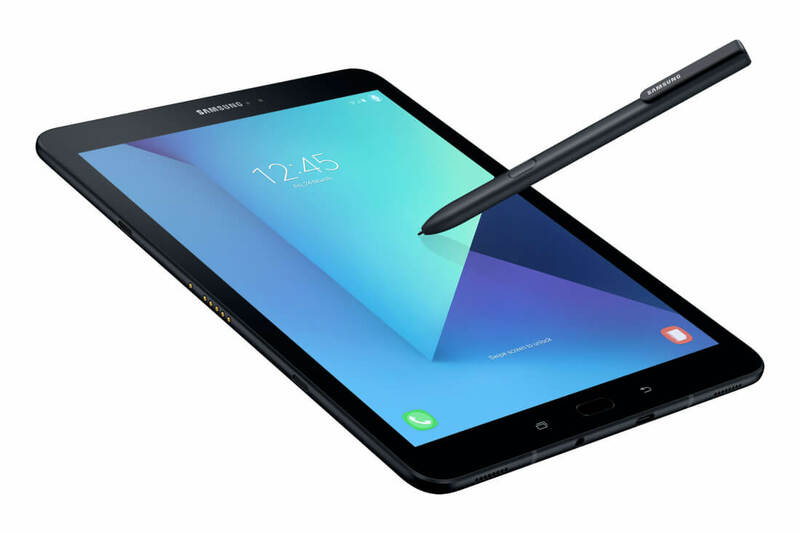 Included in the box is an S Pen with 4,096 levels of pressure sensitivity, matching the performance and capabilities of the Galaxy Note 7's stylus. Unfortunately there's no slot or magnetic clip to attach the S Pen to the Galaxy Tab S3's body, which seems like an odd oversight. There's also a keyboard case available for the Galaxy Tab S3 as an optional accessory, which attaches to the tablet via a pogo pin connector. Oh, and there's now four speakers inside the tablet, all tuned by AKG. Samsung hasn't revealed how much the Galaxy Tab S3 will cost, or when it will be available.